The Barbados Football Association is hosting a Concacaf Nations League 2019 Qualifier. The Bajan Tridents vs. Nicaragua. 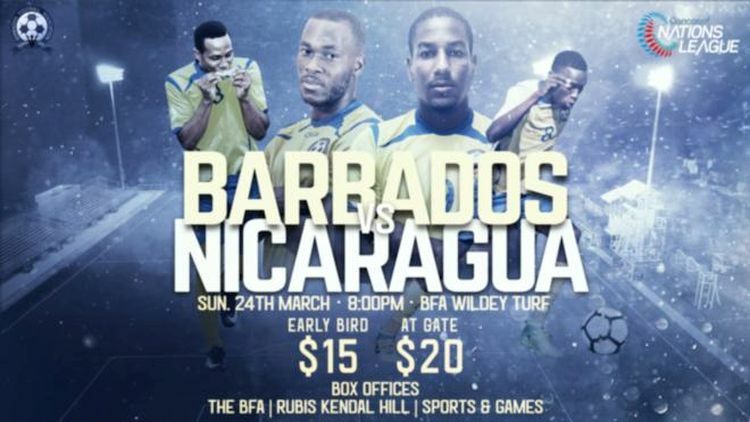 Tickets available at the BFA Wildey Offices; Sports and Games, Roebuck St., Bridgetown; Rubis Kendal Hill.